The University welcomes Dr. Michael Steele, Assistant Professor in Animal Physiology, and Dr. Dan Tulpan, Assistant Professor in Computational Biology. 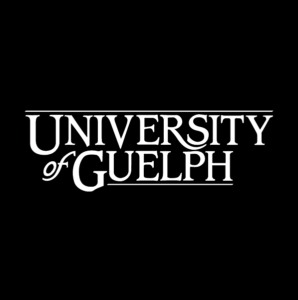 Two new faculty joined the Department of Animal Biosciences within the Ontario Agricultural College on September 1: Dr. Michael Steele, Assistant Professor in Animal Physiology, and Dr. Dan Tulpan, Assistant Professor in Computational Biology. Steele will lead a collaborative and innovative research program to continue his work integrating advanced scientific technologies and livestock production systems. Steele is especially interested in the health, production efficiency, and development of dairy calves and young ruminants, in addition to increased animal welfare and food safety in animal production systems. Steele plans to bring his enthusiasm, energy and creativity for teaching as well as an applied approach through tools such as case studies to the classroom. He will teach undergraduate and graduate courses in the field of animal nutrition and physiology. Steele has extensive experience in animal sciences research and academia, both at the University of Guelph and across Canada. He was Assistant Professor of Ruminant Physiology and Nutrition at the University of Alberta, a Research Scientist at Nutreco Canada Agresearch, and a Postdoctoral Fellow in Department of Animal Biosciences at the University of Guelph. Tulpan will develop an innovative research program on information technology solutions and advanced computing to address challenges in animal agriculture. His research interests range from computational biology and bioinformatics, to mathematical modelling and computer vision applied to livestock breeding and animal sciences. Tulpan’s teaching approach is to leverage interactive exercises to engage students in the knowledge-discovery process, and prefers a practical approach to learning while also encouraging the development of soft skills. Tulpan will teach courses in bioinformatics and computational biology for animal genomics, bioinformatics programming for animal biosciences, and plant and animal comparative genomics. Tulpan’s past collaborations have included work with bio-medical and health domain researchers, computational biologists and bio-chemists. He has held numerous research and academic positions across Canada, and prior, worked in the software industry internationally. Steele and Tulpan are the latest of several research faculty to be hired by the University through the Food from Thought program, which is funded by the Canada First Research Excellence Fund (CFREF). The researchers will be directly involved in CFREF-supported research, and the development of an integrated research and innovation platform for accessing and applying big data in the agriculture and agri-food sector. They will have varying expertise across numerous departments, and contribute to Food from Thought’s goal of increasing our ability to leverage big data for the benefit of food production while maintaining the health of our ecosystems. Learn more about Food from Thought.